An HMRI gala dinner held in 1998 during National Medical Research Week attracted 425 guests to Newcastle City Hall, and HMRI Patron Rear Admiral Peter Sinclair awarded the inaugural Young Medical Researcher of the Year award to Darren Shafren. During this dinner, Darren Shafren was seated next to John Arnold, CEO of the Greater Building Society, and the dinner marked the start of a successful funding relationship that spawned the commercialisation of Viralytics. Nominations for the inaugural Hunter Medical Research Project Grants were called later in 1998. From the 32 applications received, four grants were awarded – Darren Shafren scored $25,000 for a study titled “Virus receptor down regulator: a possible cure for the common cold”. Could the common cold cure cancer? It was a tempting idea and one on the cutting edge of a new medical research field called oncolytic virotherapy. The Greek physician Hippocrates had been credited with saying ''Give me the power to create a fever and I shall cure any disease'' and Dr Shafren’s team set about proving the theory had merit. Their work focused on the coxsackievirus, one of the causes of the common cold. 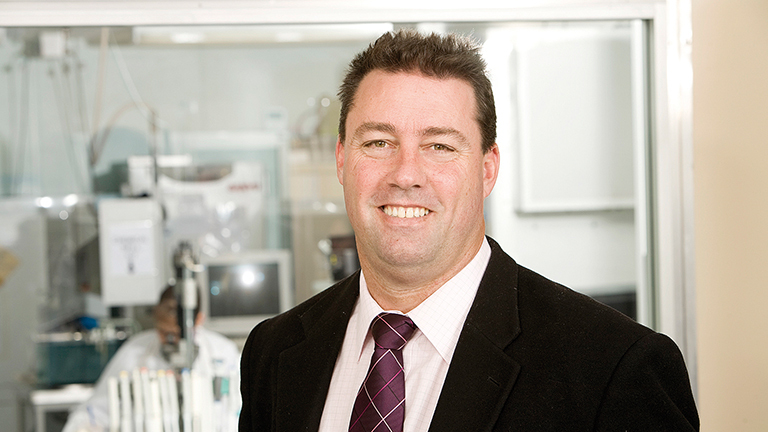 “With the latest tools and technologies we have, we can match the right virus with the right cancer,'' Associate Professor Shafren said. “Coxsackievirus is a small virus, it's about one-billionth of the size of a table tennis ball, and if you look at it under an electron microscope, it looks a bit like a Ferrero Rocher chocolate. Since the initial funding from the Greater Building Society in 1999, the research program in oncolytic virotherapy has grown from a benchtop dream to a pharmaceutical reality. Associate Professor Shafren believes it could give cancer patients better quality of life, being less toxic than chemotherapeutic drugs. Viralytics has undertaken a number of human trials within Newcastle and at leading hospitals throughout Australia. Around 30 patients with melanoma, prostate, head/neck, breast and colorectal cancer have been administered Viralytics’s lead compound, CAVATATTM. Data from these trials and from pre-clinical research performed at the University of Newcastle has provided the groundwork for CAVATAK to be trialled on the international stage. A Phase II study of 63 patients with late stage melanoma in the US is well underway and would not have been possible without the support of the Greater at a time when potential research funding sources were not happy to support the dream of research.